We are the Creator, the Created and the Creation. "Spirit walks the Earth, beloveds, and it is YOU." "I am a spark from the Infinite. "I have seen this graduation of consciousness many times over past eons of time within this galaxy. There is nothing to prepare you for the grandness of an entire consciousness shift. A lower consciousness carries child-like attitudes, traditions and beliefs. Now it all starts to focus into common sense and spiritual logic. Never has there been a grander spiritual awakening on the planet than this. The potentials are immense and you are right on schedule. And so it is." all the aspects of existence." "As the Christ, as the only begotten consciousness of the Father, you have been given a number of remarkable qualities. You are able to expand and contract in accordance with the focus of your attention. You are large enough to encompass all of Creation, yet small enough to climb inside. Your Father-Creator also permeates Creation, but in a different way; in His vastness, he surrounds Creation. His being saturates the physical universe, all the stars, the sun, the planets in your solar system, the distant galaxies, but He relies on you for His focus. You are His specific attention." "The puzzle during your life is about how much of this truth of being part of the Creator you can accept. How far can you open the quantum door to see this truth when you are alive? This single attribute determines how enlightened you become during life. Listen: it’s not how much knowledge and experience is in your Akash, but how much you allow yourself to believe it." "All essential information has been included in Mankind right from the start; it is something he is given on the day of his creation. All the teachings of the world, along with all discoveries, are taken exclusively from this Source. Just as parents try to give their child everything, so the Grand Creator gives everything to each one right off. Nothing man-made, not a multitude of books, nor the latest computers and the computers of the future all taken together, can ever encompass even a part of the information contained in a single Man(/Woman). One has only to know how to use it. But to know the Truth, one must have a conscious awareness and purity of thought. Man is the only creature in the Universe who can live on all planes of existence at once. In their earthly existence most people see themselves only as an earthly, materialised manifestation. But there are those who perceive other levels of being, levels invisible to the material senses. The main difference between Man and all other forms of existence lies in Mankind's ability to create the present and the future by his thoughts, inventing forms and images which are afterward materialised. The clarity, harmoniousness, pace of thinking and mental purity of Man as a Creator is what determines the future. Prophets who believe in and talk about the end of the world - they themselves are producing mental visualisations of the end of the world. They are motivated not by faith in the Light, in the Love that is God, but by fear. And this fearful scenario is something they are fashioning for themselves." You are the controller of all three." "To the degree that you listen within intimacy is the space where revelation begins taking root." "The soul is going to wake up. It will know every aspect of itself, and every aspect of the soul’s self will know all of itself at once. You will be aware of all realities at once as you learn to ride the vibrational rate and become fourth dimensional. You are awakening Prime Creator’s abilities….. Prime Creator’s goal in creating this universe and all other universes was to develop itself to such an extent, and have so many multidimensional channels of data open, that it - whose consciousness is in all things - could become aware of itself in all things, aware of every event that all things are involved in…. You are evolving that ability in yourselves. ……the knowing is growing, and it is a knowing of what is awakening inside of you. You must be committed all of the time. When these gifts and abilities begin to be firsthand experiences for you, you must learn to work with them no matter what. Begin to know that you are divinely guided and that all events are drawn to you for upliftment, no matter what kind of upheaval they seem to produce in your life. Please share this video far and wide! Modern Science is now beginning to confirm what Spirituality, Philosophy, Sages, Ancient teachings and psychedelics have been saying for millennia, that the entire Universe is One and that what we think of as "reality" is just an illusion.. And the only real thing in the Universe is Consciousness. ‘twixt that darkness and that Light." Esther Hicks channels 'Abraham' in one of the most inspirational scenes depicting 'The Law of Attraction'. Video includes Esther Hicks and Micheal Beckwith and many deleted scenes from Rhonda Byrne's film 'The Secret'. "The quickest way to embrace freedom is to recognize within yourself the responsibility you have to dedicate yourself to co-creation, as a team player, to actively take part in your healing. By actively taking responsibility for it, you accentuate your power as a co-creator and you shall bountifully create!" Cycles - there are cycles within cycles within cycles. There are many, many, many different cycles that are culminating in this Now. The reason for the focus on planet Earth, and for all the galactic confederations coming forth unto this area of your solar system, is because the universe is in the shifting of densities.... it is also occurring to the astral body of Earth, the etheric body of Earth, and the soul body of Earth. These particular dates (2012) are all shifting, because consciousness is shifting all the time. It is a flux. It appears that it is somewhere between 2010 and 2013 of your Now…..…and when fourth density or super-consciousness comes upon the planet, it will not be perceiving third density and third density will not be perceiving fourth density, for they will be different dimensions then. Now they are co-existent dimensions, and when super-consciousness prevails, the shift will occur and that is called a rapture. In many references your Harvest is your fourth density transformation, your ascension. Some would call it rapture." Light = Information, and Information is the key to understanding what is happening. This website contains information from many sources relating to the spiritual awakening and evolution of Humanity, the nature of reality and Consciousness, what is happening on earth and in our solar system/galaxy/ universe, and prophecies for these times. This is information to which I have been guided by Spirit over the course of several years, and Spirit have asked me to bring it all together in one place for others who seek the Truth. You will feel in your heart whether it resonates with you. 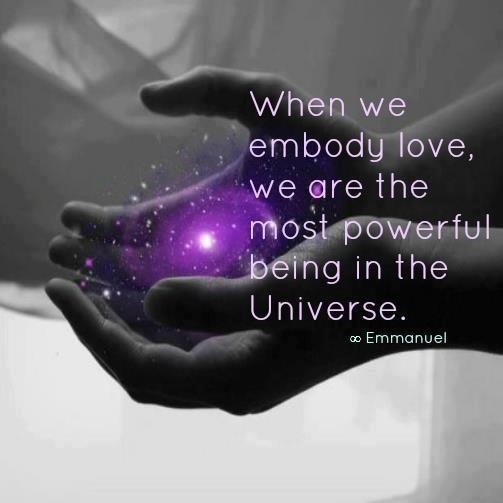 We are not our physical bodies, we are spiritual beings, individuated expressions of the One Infinite Creator whose Conscious Awareness is now awakening in the Human family. 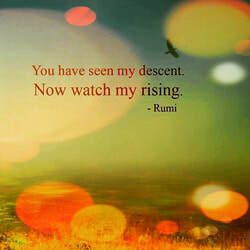 It is time to remember Who We Are and to rise to our full potential. As fully-awakened Humans - the 'rainbow bridge' between Spirit and matter - we have a very important role to play in the Universe. The path we chose in life. Unfolds the story deep within. Will unveil our lives’ true goal. To higher realms of Light. Always present, dormant …, waiting …. Of our origin in Light. Is now within our grasp. Reach out and touch it …..
“To achieve the balanced experiencing necessary for spiritual growth, a soul may spend hundreds or more lifetimes evolving out of duality’s negative potential into the positive end of the spectrum, where the energy of love, peace, generosity, harmony, honor and kindness prevails. "SEEKING THE LIGHT OF THE INTELLECT"
"YOU ARE NOT YOUR BODY, YOU ARE PURE CONSCIOUSNESS encased within a costume of flesh. As you have done thousands of times before, when you leave the earthly plane, you will discard your physical body for garments of Light, and in due time you will prepare for another great adventure in a new reality. As you gain Self-awareness, you will develop a Divine curiosity and an intense desire to begin a new personal spiritual quest. You will develop a sense of adventure as you delve into the mysteries of the cosmos, and the Divine Plan will begin to unfold at your level of awareness. It is important that you understand that each major transformational, human progression involves cosmic wisdom in a new form to fit the forthcoming cycle of evolution." "ENHANCING YOUR POWER TO MANIFEST"
"We are in the midst of one of the greatest cycles of transformation that this Universe has ever experienced; however, it is important that you understand that there have been many minor cycles of change on Earth, and each of you has experienced these transformational times in one way or another. "Love's Light is never lost, instead it tends to linger around the peripherals. When you attempt to grasp at it, it quickly disperses, for the Light of Love can never be contained. Instead, expand your perceptions and grow within, and as you do, you shall witness that this Light called Love has always been the Divinity that is You." Brian Baruch is a conscious channeller for the "Family of Jacob". The "Family of Jacob" (Elohei Yaakov) is an inter-dimensional collective consciousness that resonates a central frequency of the united essence of All Source. Over the ages the "Family of Jacob" have been known by many names; the higher central Sun, Tiferet, the personage of Divine as Father, the Egyptian All recognizing collective consciousness called "Ra", the Hindu Lord Vishnu, the cosmic consciousness of All Life, the Christian Trinity, the biblical archetype of the patriarch "Jacob" who coalesced All through frequencies of "merciful healing" and recognizing "truth". These are some incarnations of this family consciousness called the "Family of Jacob", and there have been many more. 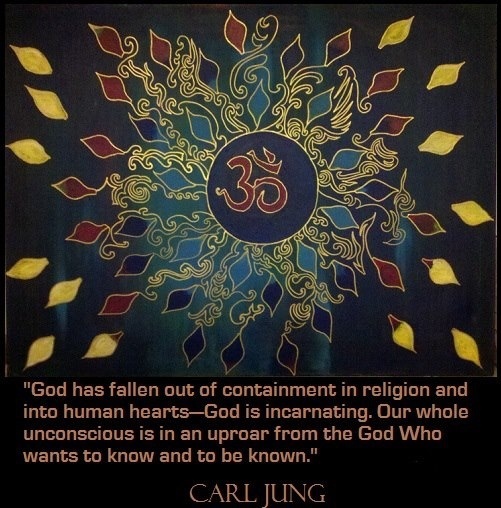 Splinters of this collective consciousness are incarnated in almost every generation along the earthly tier, other aspects of this collective are ascended (angelic) intelligences that never spent time along the earthly tier, or have resonated their key resonance of truth in many other worlds and dimensions. They offer a "bird's eye view" of true reality, and share a message of the Higher Love and compassionate healing; revealing dignity for the individual, a deep compassion and reverence for the collective; the majestic "music" from behind the veil - the coalescing of All That Is. Their sacred message carries a profound cadence that leads to the abstract co-ordinates for ascension into the fullness of inter-dimensional "wholeness". 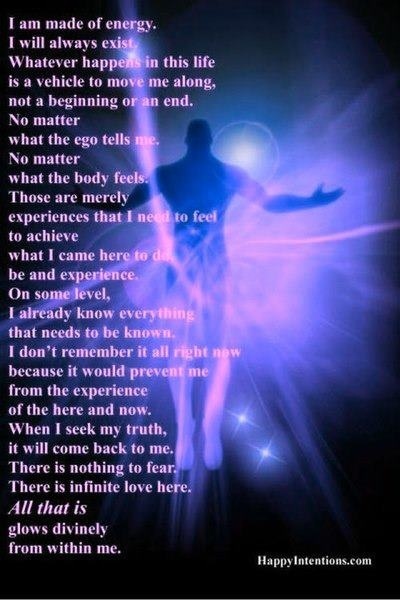 Similar to Esther Hicks' channelled collective consciousness "Abraham" who sends the beacon of co-ordinates of creation's "Is" through the frequencies of "loving kindness" and "bountifulness", the "Family of Jacob" resonate the co-ordinates of "truth", "merciful healing" and "true (unconditional) love" to direct All how to embrace their crowns of ascension to freely reside in the dimension of the "higher central Sun" with intimacy and gratitude in All That Is. .... just the important things." Follow Messenger Spirit's board Spiritual Evolution on Pinterest.